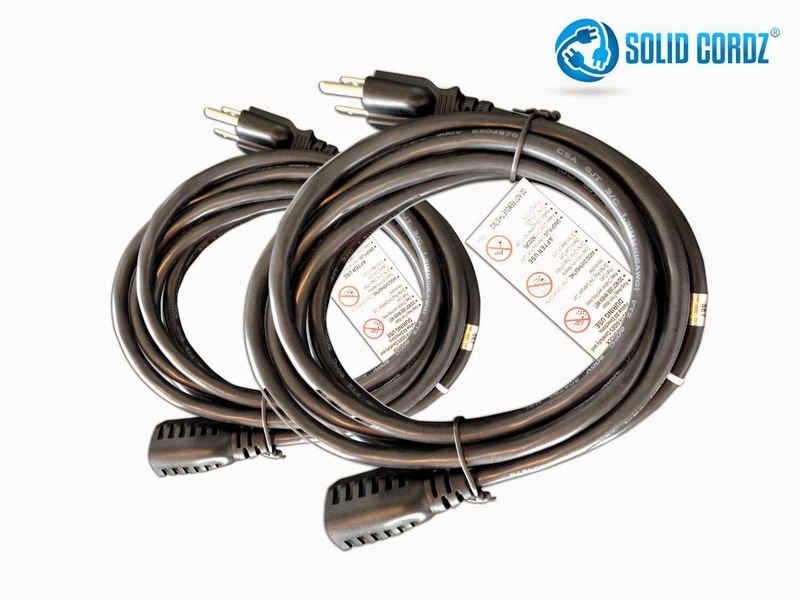 Solid Cordz® 6 foot extension cable is the solution to your electronics and power equipment reaching problems. This sturdy and long-lasting 72-inch length extension wire can give your room a clean and organized look. The cable is thicker than the usual which houses a 16 AWG wire. The cables are fully rated for 125 volt/13 Amp applications. How does PREMIUM 6 Foot Extension Cord work? The purpose of the Premium 6 Foot Extension Cord is to make unreachable outlets accessible and at range at all times. With its bendable property, reaching power strips and outlets are easily made possible. Our product has easy grip ends which ensures no grounding problems and proven safe. Our products are proven and tested for its top-quality: Underwriters Laboratories (UL) listed & CSA approved. I received this after we had just searched all over our near by stores for an extension cord that would do what we wanted and be safe for our children to use in their room. The only downsize I see for these cords is you can only plug in one item but if that item is a surge protector with multiple slots then you are in business. We live in a very old house with huge rooms. Most of the rooms have only two plugs and isn't always convenient when you want to plug something in so we use extension cords to get the job done. We look for the shortest length we need for the task at hand which is also the safest way, especially when you are dealing with children living in your house. Since you can only plug one item in at a time we don't have to worry so much and have given the list of don't to the kids so they know what not to do with an extension cord. These cords have a 3 prong plug, but you can use either a two or three prong item in it. These are very useful and have found much use in our home. You can buy a 2 pack of 6 Foot Extension Cables by Solid Cordz on Amazon. Disclosure: MarksvilleandMe received one or more of the products mentioned above for free using Tomoson.com. Regardless, MarksvilleandMe only recommends products or services we use personally and believe will be good for our readers. If you would like MarksvilleandMe to review and item or service for you please contact us at marksvilleandme@gmail.com.